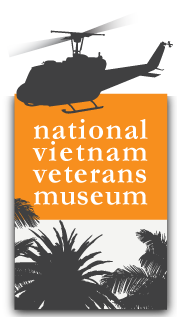 The National Vietnam Veterans Museum is proud to present the show, Dusted Off which is as much about Vietnam as it is about family. It is as much about war as it is about love. It is as much a story of one man and one family, as it is the story of all our young men, who fight anywhere and return home to pick up the pieces. Actor, musician and singer/songwriter Brett Hunt brings to the stage with alacrity and passion, the story of his family and his father Frank Hunt – the eponymous Frankie who ‘kicked the mine the day man landed on the moon’. Just as in John Schuman’s I Was Only 19, Frank Hunt in Dusted Off is an everyman, and this one-man play, through music and monologue, explores the legacies of war, of post-traumatic stress, and of a family’s survival and redemption through intergenerational trauma. It is not a case for war, nor a glorification, nor a regret. It is a universal exploration of a young veteran’s motivations, injuries and efforts to keep a family together through indescribably tough circumstances. It is a tale of generations of veterans, and Brett’s birthright to tell, as a son, grandson and great grandson of men who fought. Described as a troubadour, a journeyman, and a keeper of the flame, Brett is fundamentally a storyteller. The stories he tells are gripping and authentic. With soundscape and script, Dusted Off is an enthralling and uplifting one act play that will take you on a journey – one that will never be forgotten. Come along to the Museum on Saturday 27 April to be enthralled by this fascinating show. Bryan Dawe will be MC for the evening. Ticket prices are $35 and $30 concession and include a light supper after the show where you can meet Brett and Bryan.